2646 Floor Drain Adapters and Reducers, Caulk Reducers - Jay R. Smith MFG Co. Fig. 2646 spigot adaptors convert threaded connections to spigot for caulking. Fig. 2646Y NO-HUB adaptors convert threaded connections to NO-HUB connections. Fig. 2648 spigot adaptor converts threaded connections to 90° spigot for caulking. Fig. 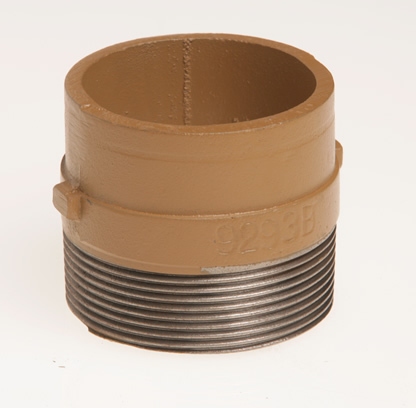 2651 is used with side outlet drains to reduce outlet one pipe size. Fig. 2652 is used to reduce threaded connection.